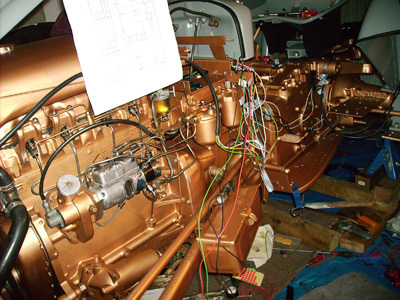 Take a moment to enjoy these photographs of a quite outstanding Ferguson FE35 restoration. Video of a cold start. 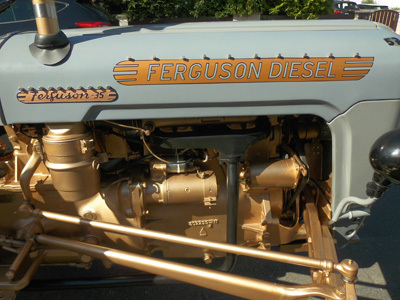 Vintage Tractor Engineer loves the colour scheme of the Ferguson FE35 gold and grey tractors. There is just something about them. 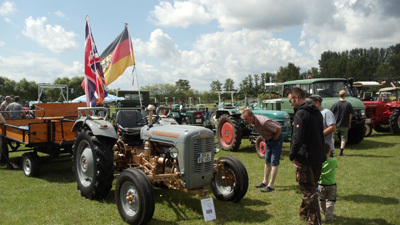 The colours somehow compliment each other and of course the gold really stands them apart from most other tractors. 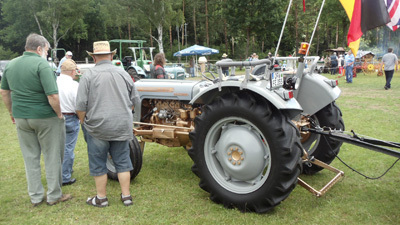 The colour scheme changed part way through their production to the familiar red and grey of the Massey Ferguson 35. 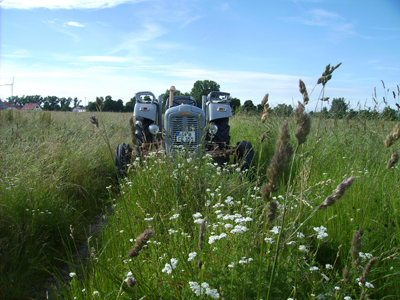 Every so often we come across a tractor where the owner has really gone that extra mile to make their tractor something special. The quality of the paint work and the whole restoration is plain to see. 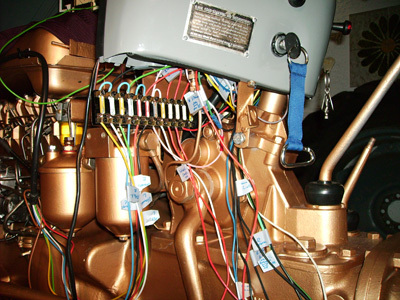 Amongst all the other work, Gunter undertook a full engine rebuild and hopefully found our 23C Rebuild DVD useful, replaced the fuel tank (treated the inside of the new one to prevent corrosion) and fitted a new 2.7 kW starter motor. 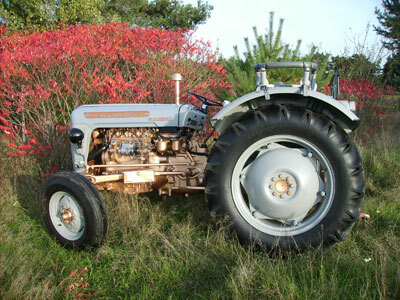 The engine fitted to this tractor does not have the cold climate head with the four heater plugs, but rather just has the thermostart heater fitted into the intake manifold. 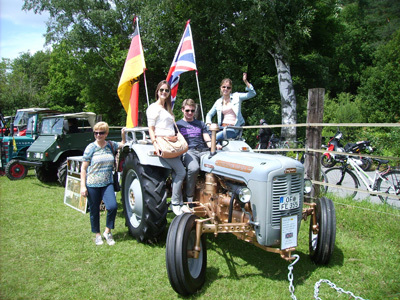 The video below shows a cold start when the air temperature was at approximately 2 degrees C.
Gunter’s grandfather emigrated from England to Germany in 1850 due to food shortages, so the family have a connection with England and the English manufactured tractor. It’s nice to see the British and German flags flying together. 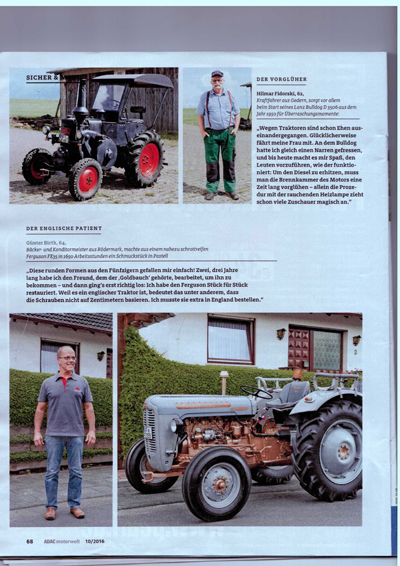 We think this tractor is an absolute credit to Gunter and his family, and an inspiration to anyone who owns and is restoring an FE35.. 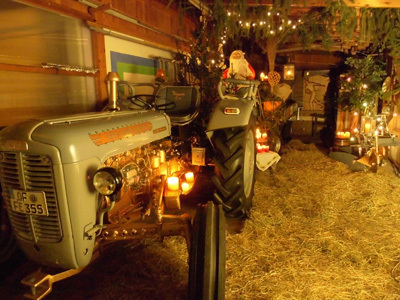 They are quite rightly proud of the tractor and it has even taken centre stage of their christmas decorations. Enjoy the rest of the photos…. This last picture is quite interesting. 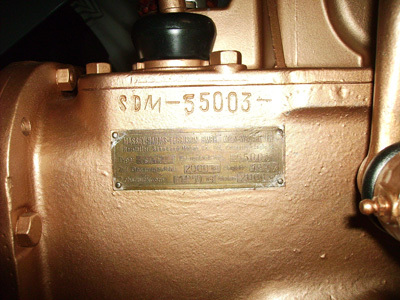 We can see the tractor identification plate fixed to the side of the gearbox housing, as well as the serial number stamped into the casting. What do people think to this? Thank you for the compliment, I have bought a Goldy which is also restored. 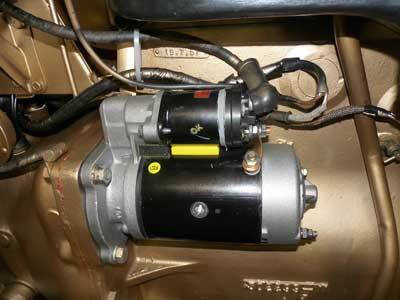 The Goldy in the forum has the number SDM 55003 and the which I have still bought the No. SDM 57969 it is the brother. Next week I’ll get him in Nuremberg (Germany). It is a real gold belly. 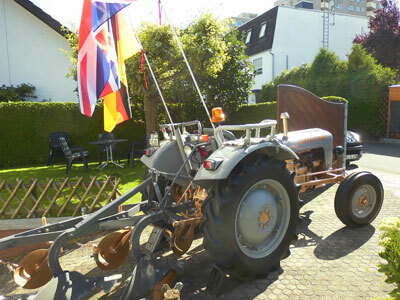 I love these tractors they are a piece of culture from England. 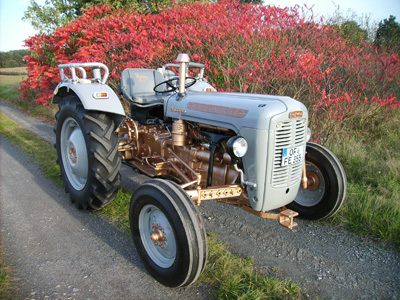 What a wonderful restoration,long live the Ferguson- Massey Ferguson the best tractors ever built, congratulations Gunter.